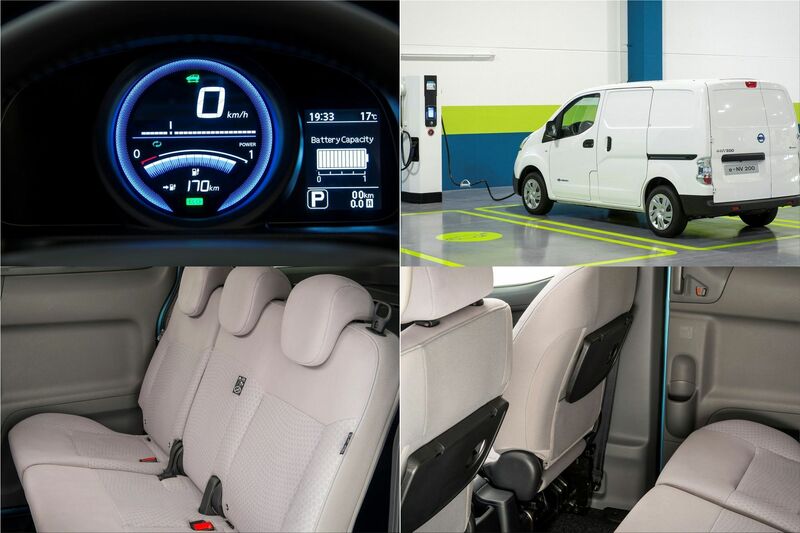 New battery, greater autonomy, zero emissions: these are the main features of the new Nissan e-NV200. The new 40 kWh battery provides an autonomy that can go up to 280 km on the NEDC cycle and a little less in the city, making it the ideal van especially for those who use it for delivering goods. 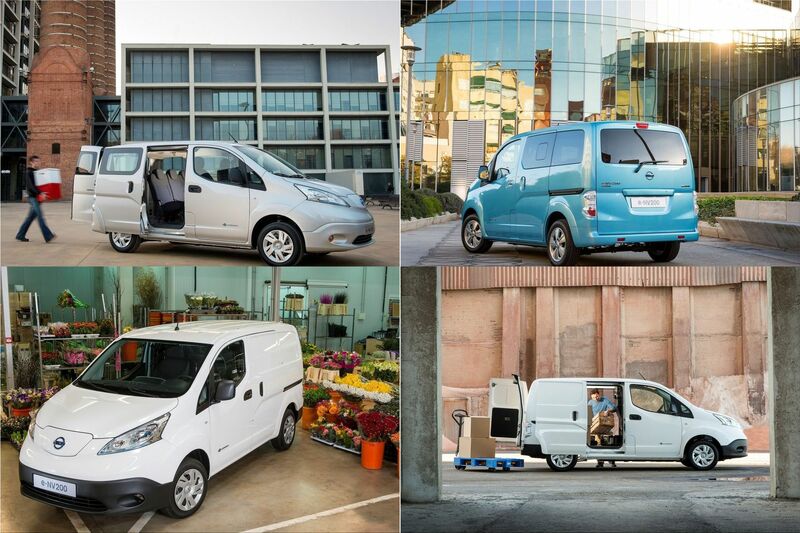 The e-NV200 electric van incorporates the same technologies as the Nissan LEAF. The Nissan e-NV200 does not have an internal combustion engine or conventional transmission. It has fewer moving parts than normal vans, which means you have the added benefit of a very low maintenance cost. Electric Vehicles and Intelligent Mobility ambassador, actress Margot Robbie, is back. 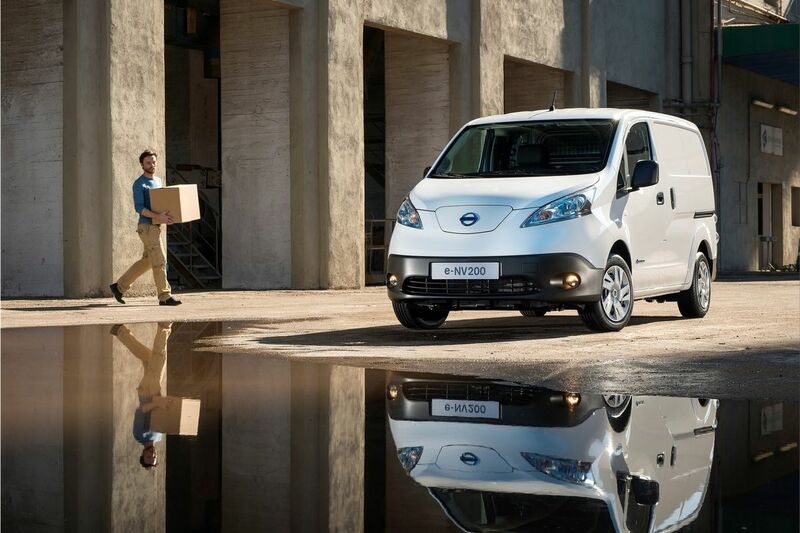 In addition to the attractive costs of using any electric vehicle, the Nissan e-NV200 electric van is equipped with innovative technology for easier and safer driving. 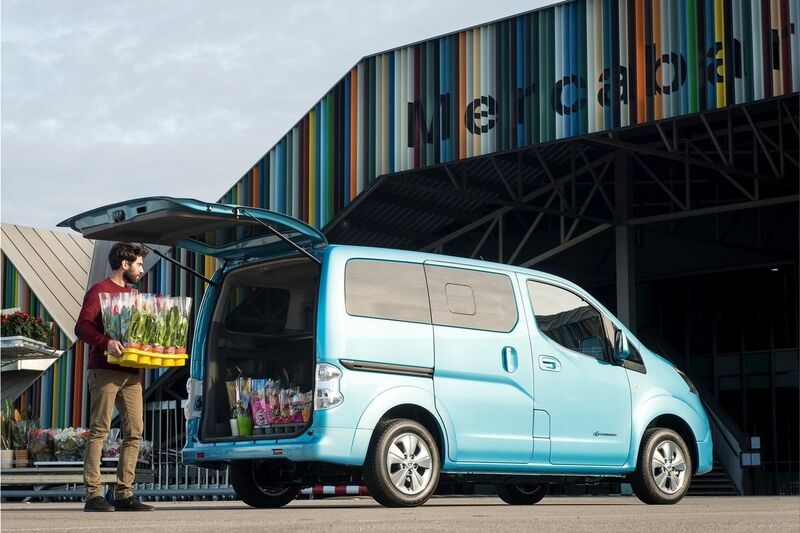 The Nissan e-NV200 is an easy-to-load industrial electric vehicle, since its cargo surface is only 52 cm from the ground. 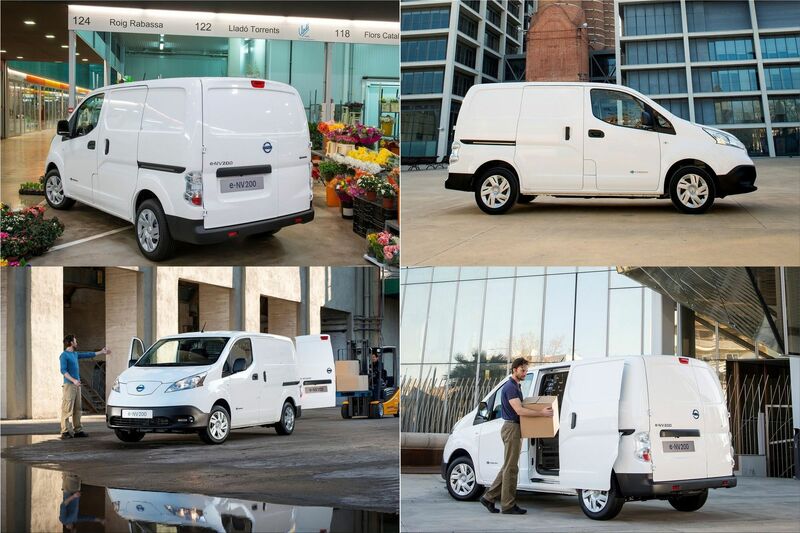 The Nissan e-NV200 Van has a load capacity of 4.2 m³, enough for two euro-pallets or a load of up to 770 kg. The wide opening of its rear doors and its two lateral sliding doors facilitate and speed up the loading and unloading. 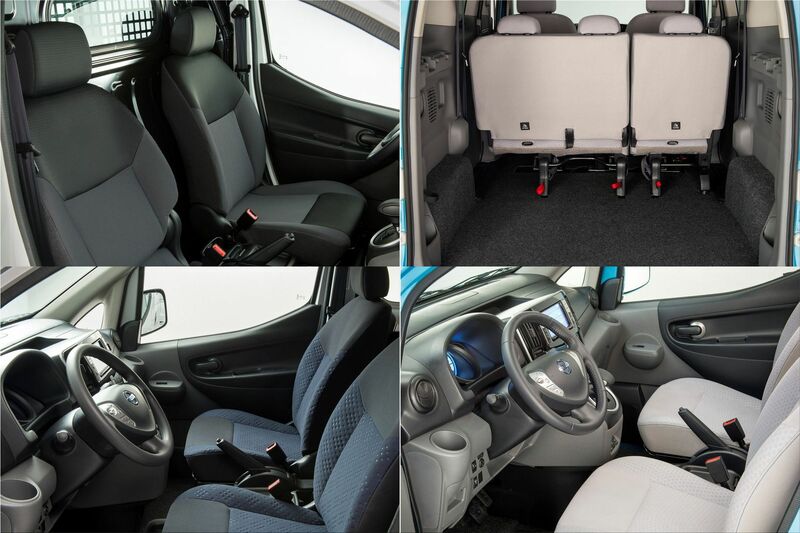 If you need to transport passengers instead of pallets, the five seats of this commercial electric vehicle Nissan e-NV200 Combi, make it the ideal choice to transport people. 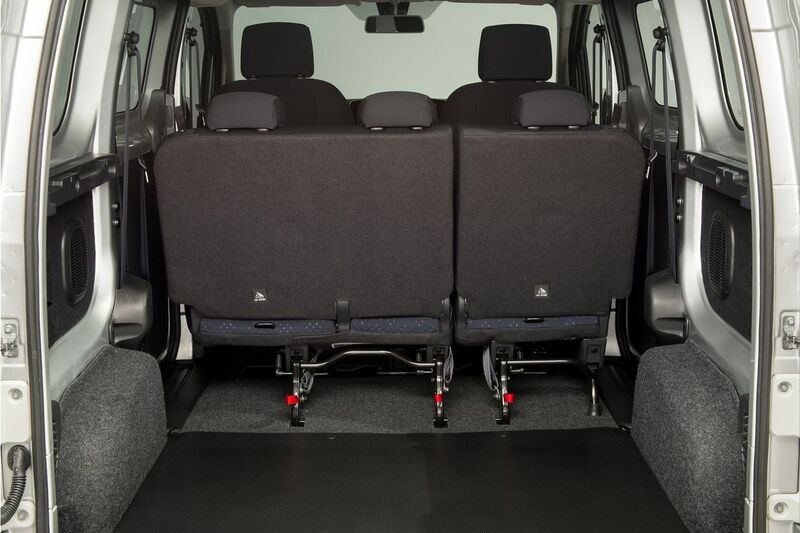 With its clever modular seats, you can comfortably transport passengers, and still have enough space in the cargo area. 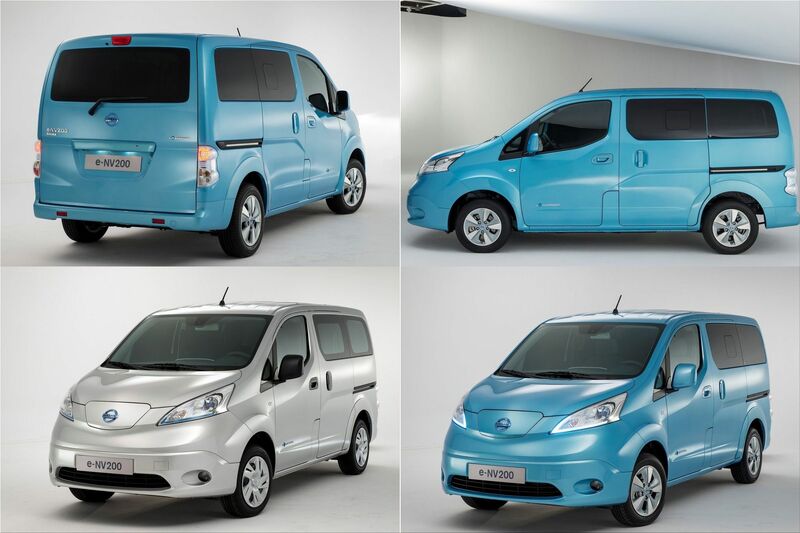 The new Nissan e-NV200 will be be on sale before the end of 2017. "The world is going electric, which means re-thinking pretty much everything we know about driving, commuting and powering our lives," says Gareth Dunsmore, Electric Vehicle Director, Nissan Europe. "But to make that future viable, we must create a fully electric ecosystem that enables modern life to be cleaner, safer and more connected for everyone. Smarter, better 100% electric vehicles like the new e-NV200 are at the heart of that ecosystem – now and for generations to come."